These projector offer 20,000 hours of use without needing to change a lamp, and are immune to color decay. The projectors' high 100,000:1 contrast and 1.07 billion color display crisply renders text and numbers while the 4,000-ANSI-lumen brightness of the LW890UST and LH890UST and the 3,500-lumen LW820ST make it easier for students to read. The LW890UST and LH890UST projectors can be configured for either pen or touch interactivity. The affordable LW820ST comes with an optional interactive toolkit. 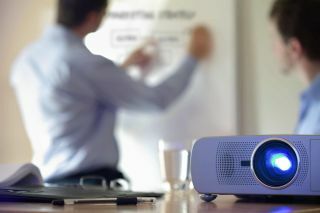 BenQ is pricing its new projectors direct to educational institutions starting at $1,299 for the LW820ST, $2,199 for the LW890UST, and $2,399 for the LH890UST, with interactive pen and finger-touch upgrade modules available at $199. This approach enables schools to configure each room to specific interactivity, resolution and feature needs on a single projector platform. BenQ is pricing its new projectors direct to educational institutions starting at $1,299 for the LW820ST, $2,199 for the LW890UST, and $2,399 for the LH890UST, with interactive pen and finger-touch upgrade modules available at $199. More information is available at https://business-display.benq.com/en-us/index.html.